"'Crack Street'. . . may be pointing the way to the TV documentary of the future, something less polished and polite but also more immediate and urgent than we expect documentaries to be." Producer Howard Stringer had the idea for this new format of documentary whose mission was to follow the stories of ordinary people in extraordinary circumstances over the course of 48 hours with a team of correspondents and cameramen. As Tom Flynn remembered in an article for Television Quarterly, the broadcast was "substantive, compelling and really good story-telling in an altogether new way," and not just because of the shaky-camera, the hand-held camera seldom seen on American television, which gave the broadcast a new sense of immediacy. Among the main reasons Flynn named for the success and importance of the show was the fact that it tackled social subjects ranging from AIDS to domestic abuse, wedding rodeos to college basketball. Its format was unusual: unlike documentary units who worked weeks on a topic, the team chose a subject that was told from five or six points of views and in different places, providing a well-rounded look. On September 1, 1986, "48 Hours on Crack Street" was a two-hour special on the drug crisis that plagued a number of U.S. cities. Anchored by Dan Rather, the show was the work of ten correspondents and 18 camera crews, 25 field producers, and 11 editors, all directed by executive producer Lane Venardos and head of special unit Joan Richman. What started as a one-time program turned into a weekly program in January 1988 under producer Andrew Heyward. Heyward told the Los Angeles Times that a show would tackle a wide range of potential topics, from the Persian Gulf to Broadway,"hoping to breaking down the corroded barriers" between the entertainment and news divisions. "ambitious, frequently sketchy, but consistently interesting." The first season opened with "48 Hours Hospital," which took viewers to the Parkland Memorial Hospital in Dallas, and was followed by a 48 Hours in Las Vegas, a show about a hectic New Year's weekend at Denver's Stapleton Airport, and one from the West Bank. Reviewing the first four episodes, the Washington Post called the show "an ambitious, provocative, prime-time news program that just doesn't work." Complaining that segments start and stop, a series of interruptions without depth, Tom Shales called the show NTV, News Television. Despite such criticism, the show found its marks and presented, in the first two years, pieces about the 1988 primaries, television evangelists, the Detroit Police Department, cocaine trafficking in South America, the welfare system, street gangs, Miami, crystal in the USA, and the future of NASA after Challenger. Later stories featured interviews with Patty Hearst in "Kidnapped," with Spike Lee in "Simmer in the City," and with Sarah Kearney in "Street Stories," as well as a "48 Hours with Paul McCartney." 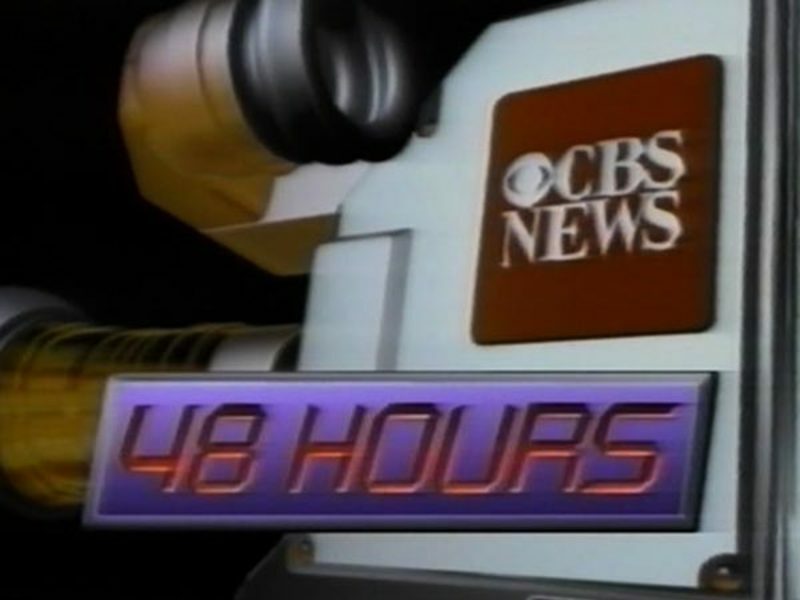 The concept of 48 Hours was praised as a new way to dramatize social problems, but it also earned critiques for its "splashy subject matter, close-up camerawork and fast-paced editing." The show evolved over the last decades with Dan Rather taking the role of an anchor, introducing the correspondents' pieces. Under the direction of producer Susan Zirinsky, 48 Hours is one of the longest TV shows in the history of television. In September 2002, Leslie Stahl replaced Dan Rather as the anchor of the show, which is now called 48 Hours Investigates. Advertisement for CBS's 48 Hours in Variety, January 27, 1988.